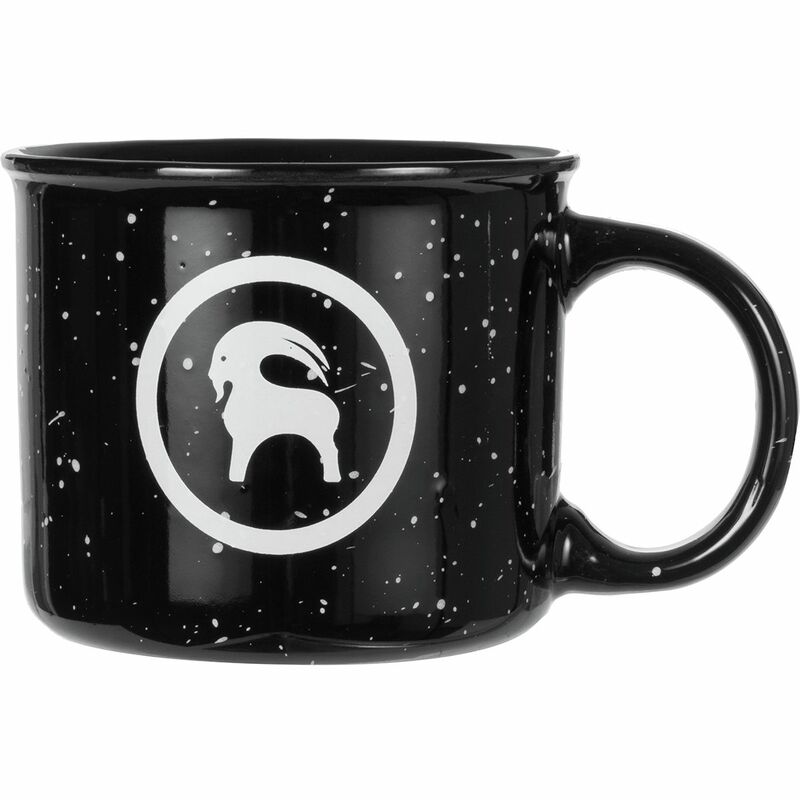 Whether your drink of choice is tea, coffee, chai, toddies, or cider, the Backcountry Ceramic Mug is the perfect beverage vessel for your hot beverage routine. Featuring an attractive speckled design that recalls enamel camping cups, this unique mug is perfect for holding warmth while you plan the day's upcoming adventure or relax during the apres. 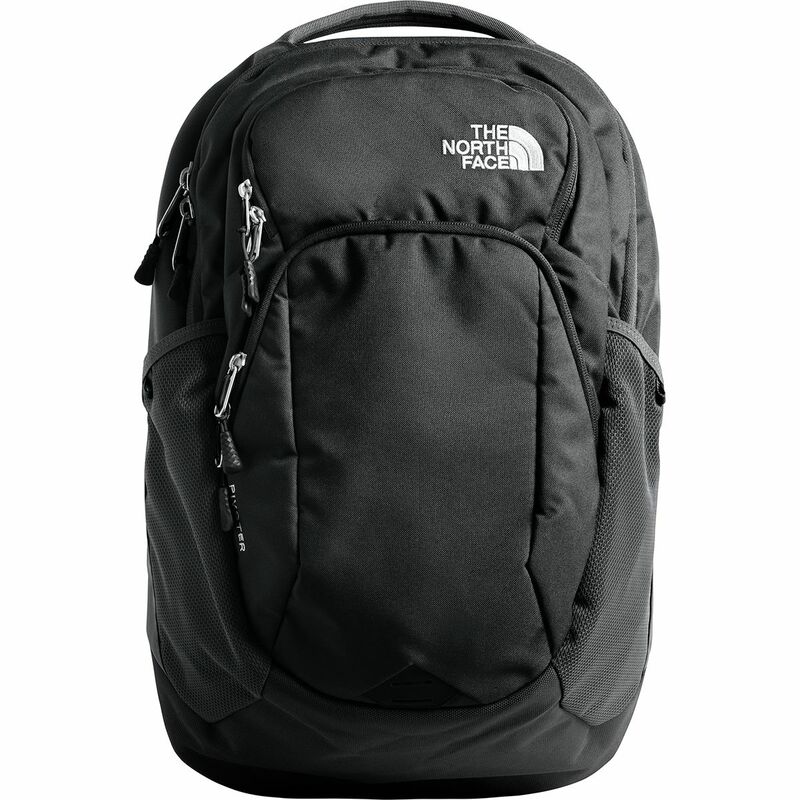 Female scholars rejoice for The North Face's Borealis 25L Backpack. 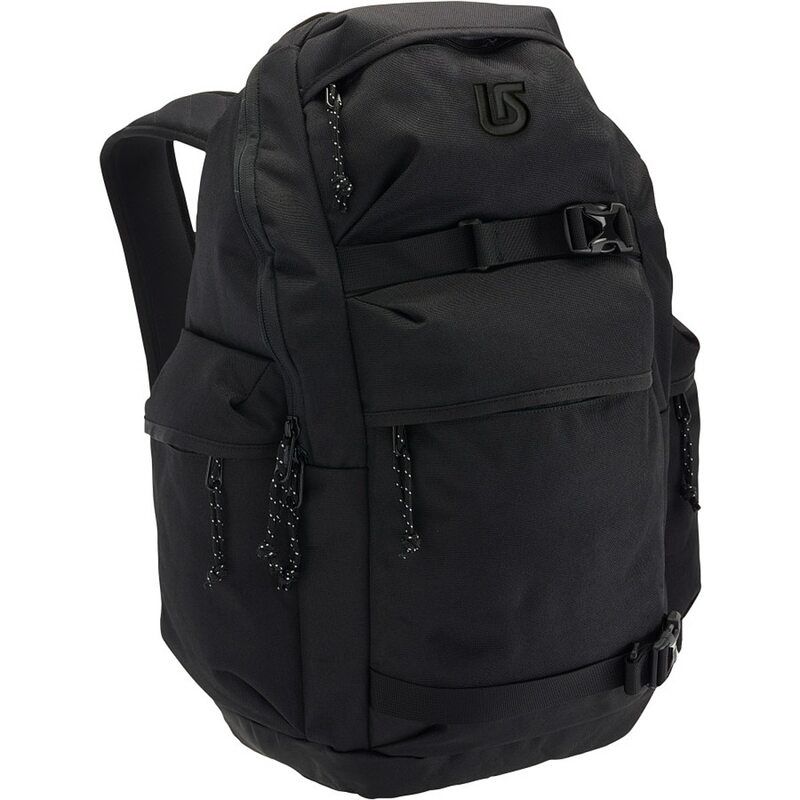 Equipped with FlexVent suspension support, padded mesh lines the back and shoulder straps and includes an intuitive lumbar panel and spine channel for ergonomic comfort when carrying a backpack filled with multiple text books and notebooks. 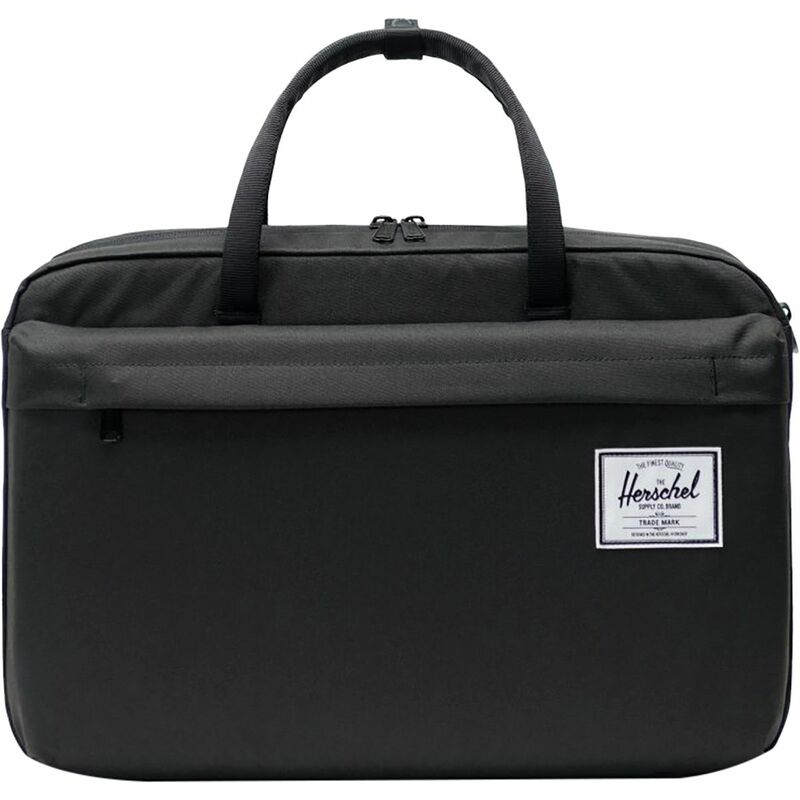 An internal padded laptop sleeve protects your trusty laptop while the front zipper comes with a built-in organizer that includes a padded tablet sleeve, a pen organizer for your collection of highlighters, and various pockets for small-item organization. 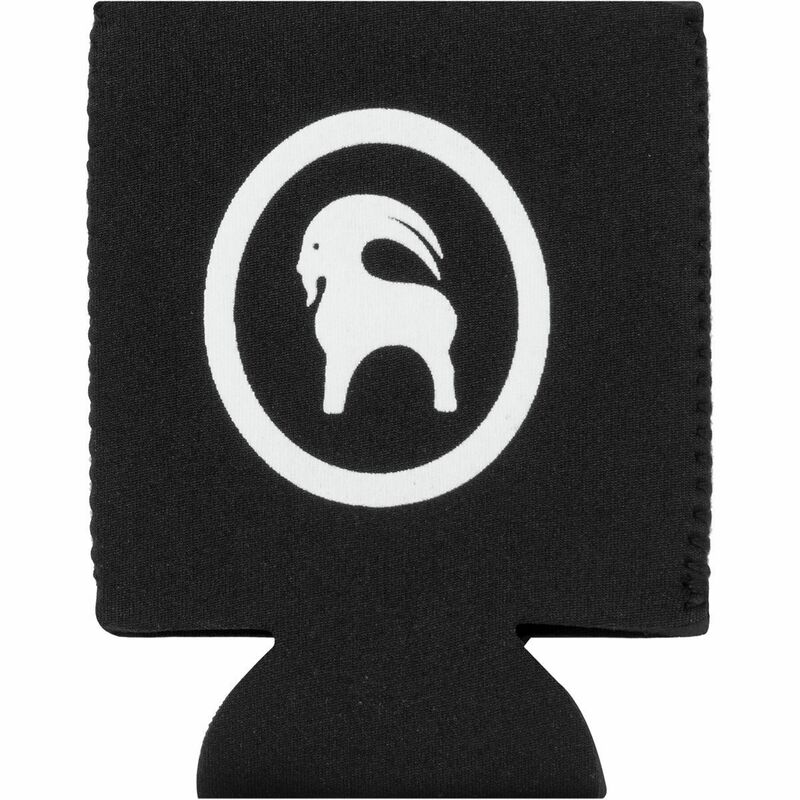 Another small external pocket is fleece lined to hold your sun and reading glasses, while an elastic bungee holds a sweatshirt for the over-air conditioned library. 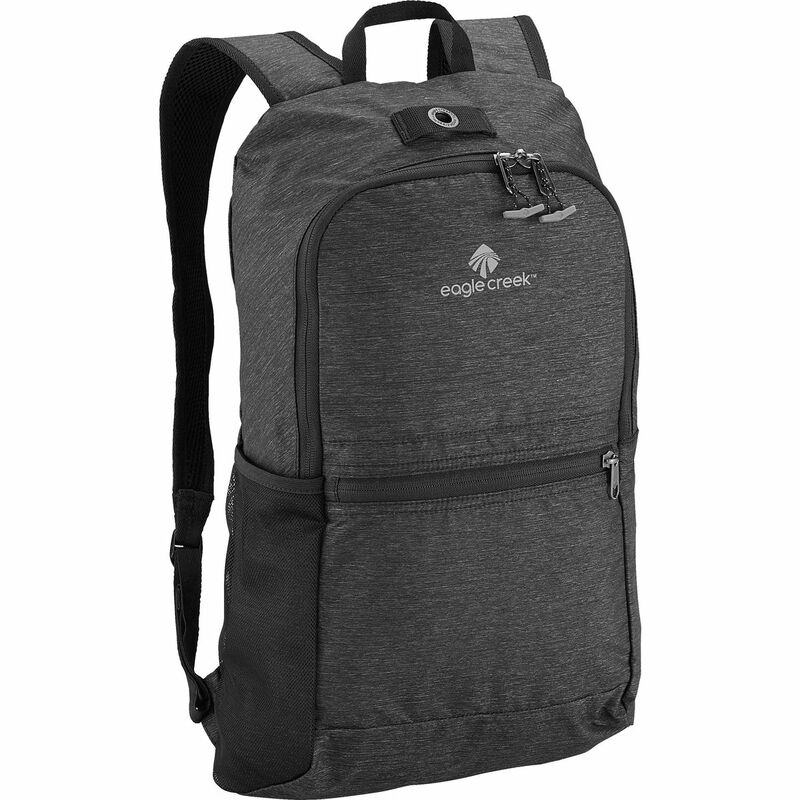 The adjustable sternum strap has a built-in whistle for campus safety and a removable waist belt to help the backpack stay secured to your body as you bike to the coffee shop for an off-campus study group session. 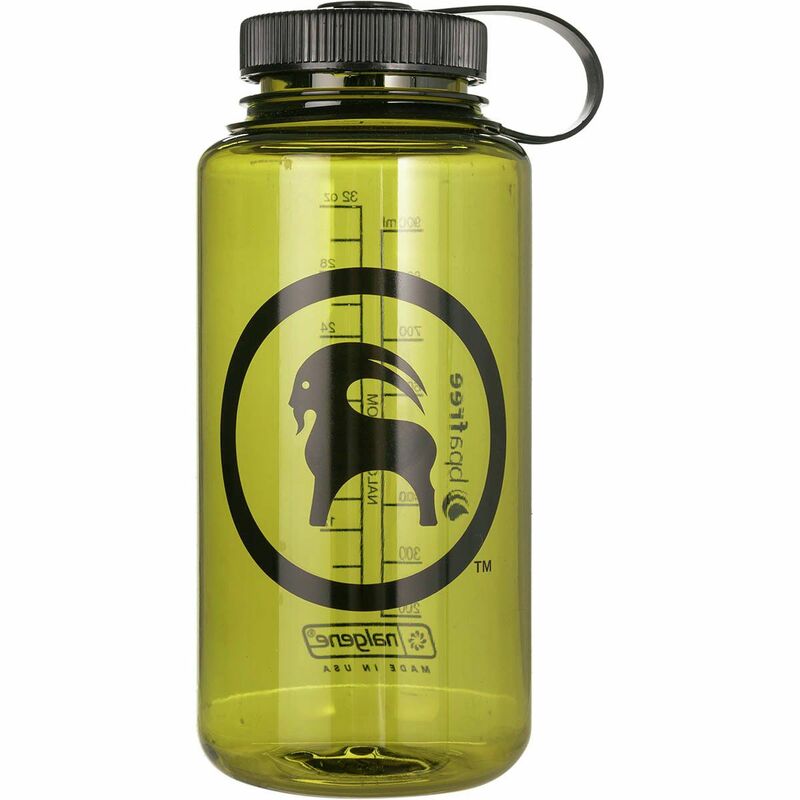 There's a reason the classic Nalgene design hasn't changed in decades, and the proof is in the pudding--and in the Backcountry x Nalgene Logo Wide Mouth Tritan Bottle. 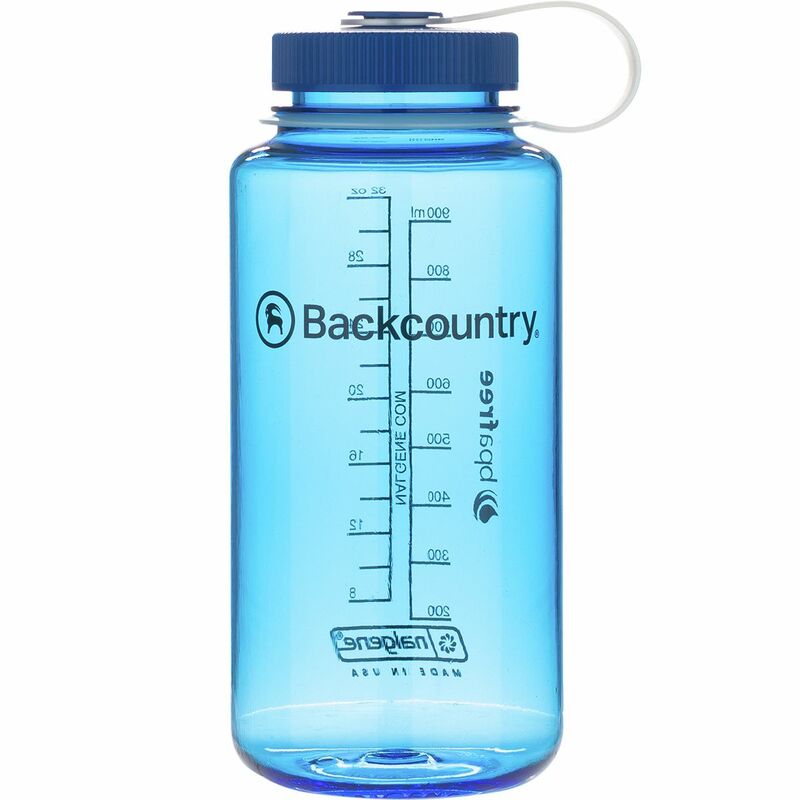 This impact-resistant bottle features a screw-on cap that won't leak, and won't run away on you, making it an ideal hiking partner, backpacking companion, or everyday vessel for staying hydrated. 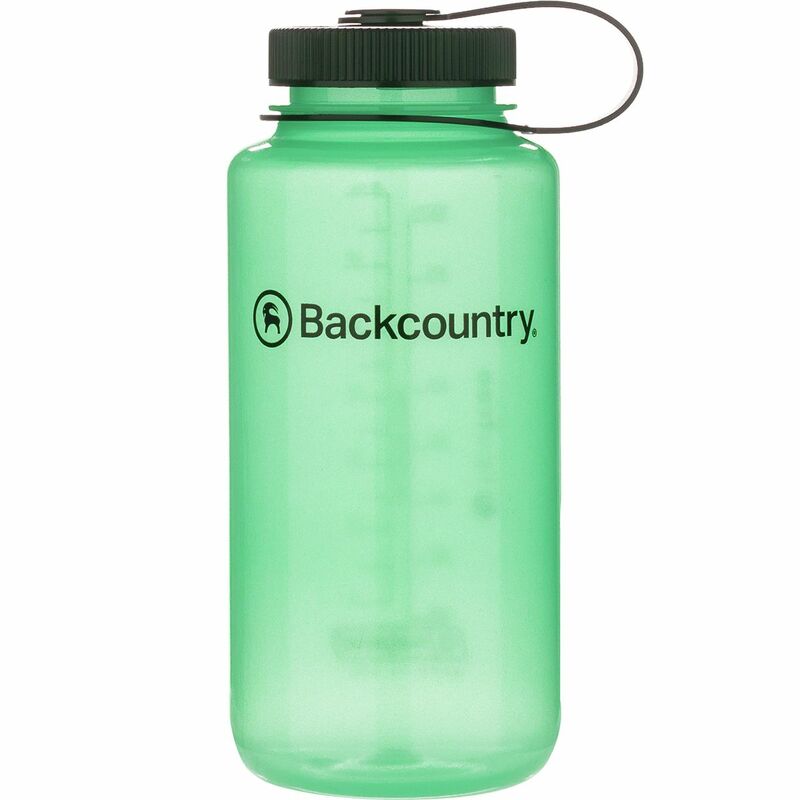 If you want your water chilled, it's easy to stuff ice into the wide mouth, and measurements along the side come in handy when you're cooking at camp or filtering water in the backcountry. Stone Garden is a sport crag nestled in the Uinta Mountains--a mere half hour from Backcountry's office. 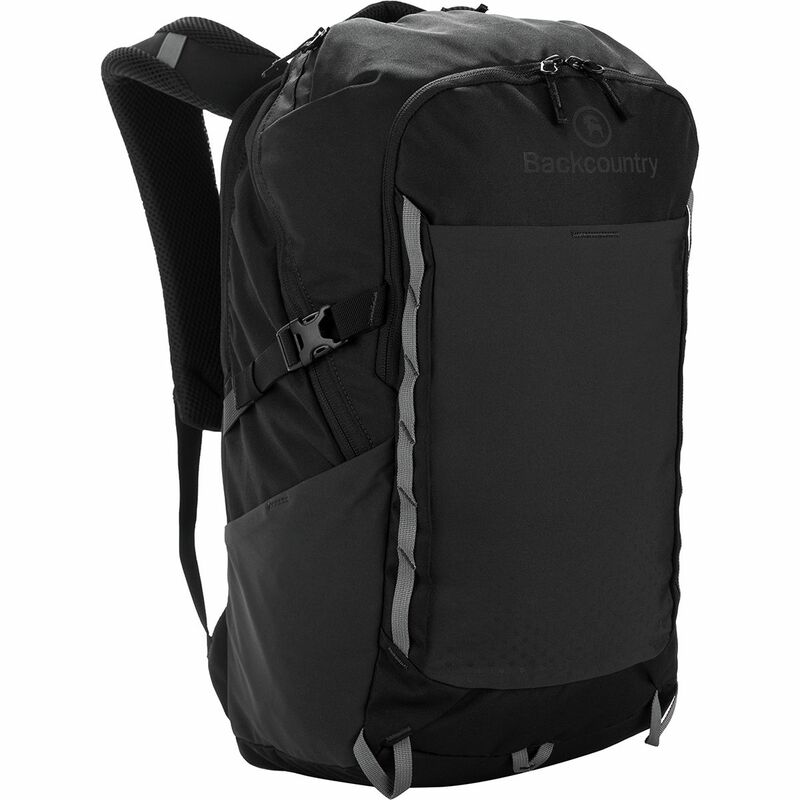 As such, it's an excellent spot for climbing after work, and the Backcountry x Black Diamond Stone Garden Crag Backpack is just as excellent on the approach. 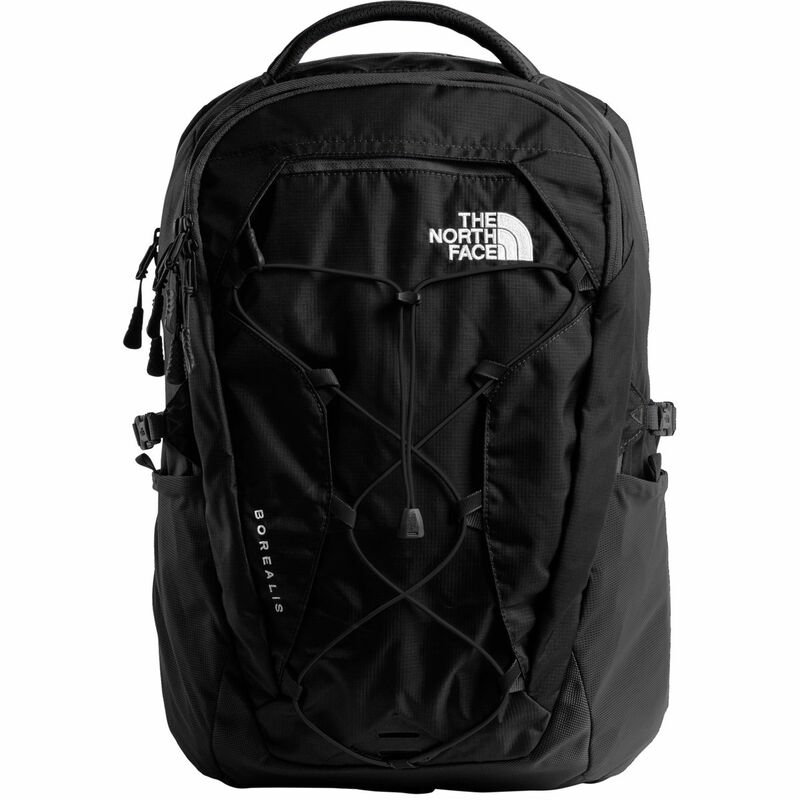 This pack has a well-thought-out design that organizes all the climbing essentials for a day at the crag. 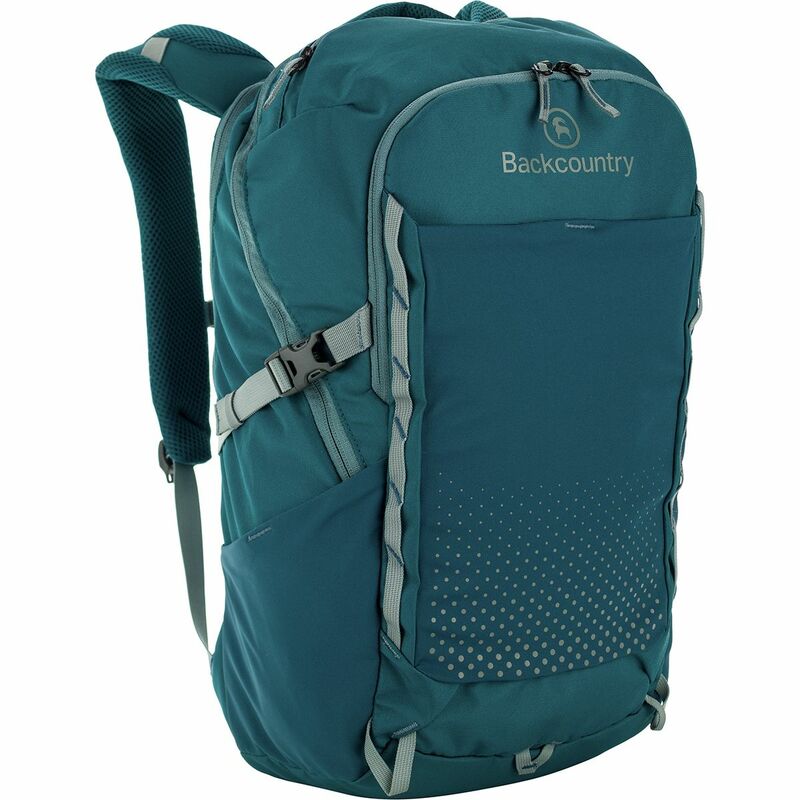 Even with your climbing rope fixed up top and your shoes and chalk bag in the bottom compartment, the capacious 30L main compartment still leaves plenty of room for climbing gear, layers, food, and water. 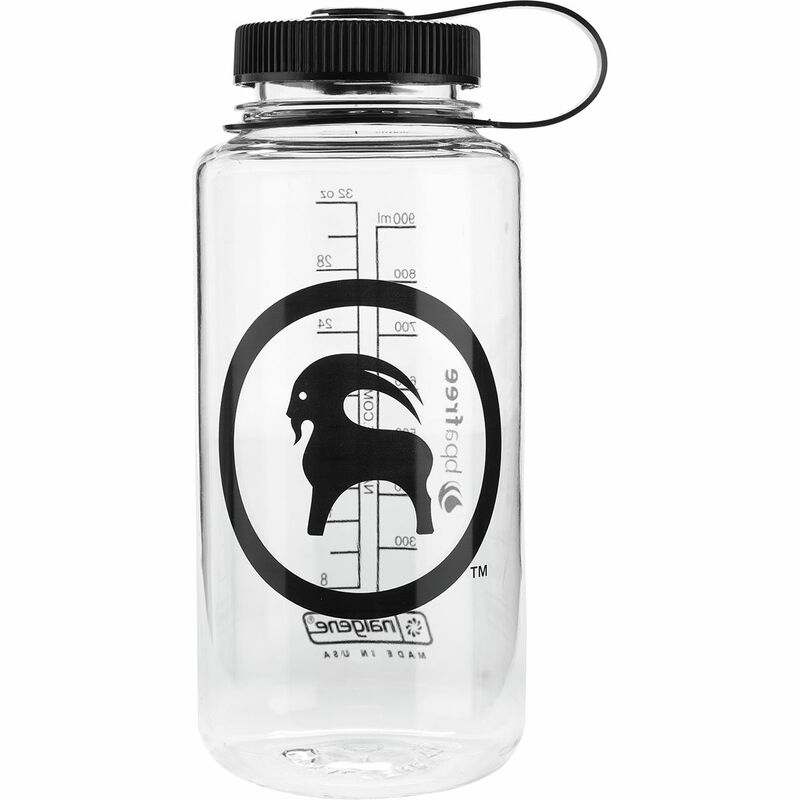 The main compartment is easily accessible through the top drawcord skirt, and you can snag your water on the trail even easier through the front zipper. 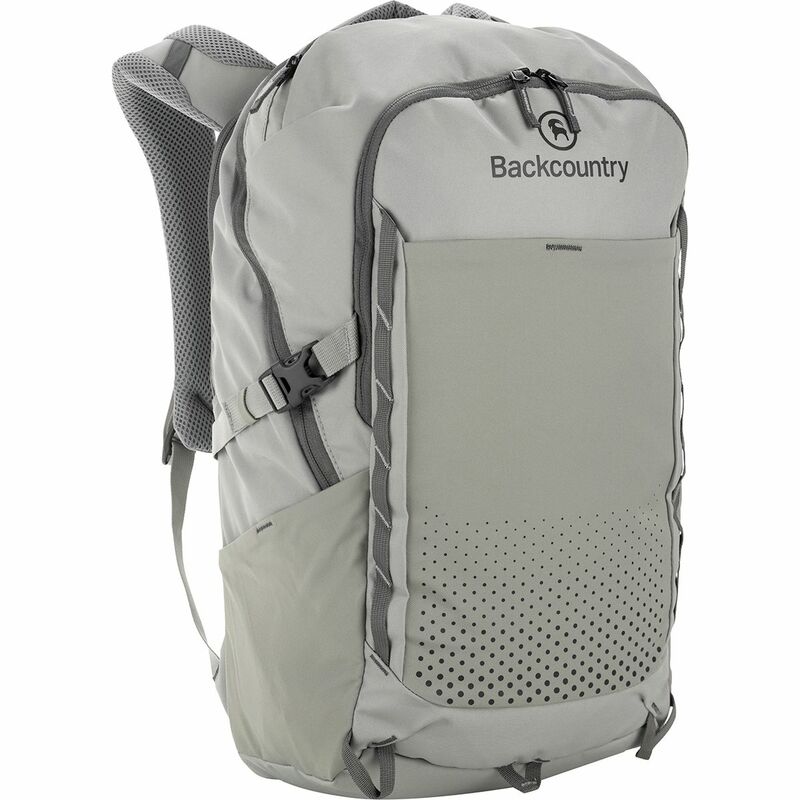 The shoulder straps and waist belt provide sturdy support on the approach, and the waist belt tucks away if you ever take the pack on a multi-pitch. 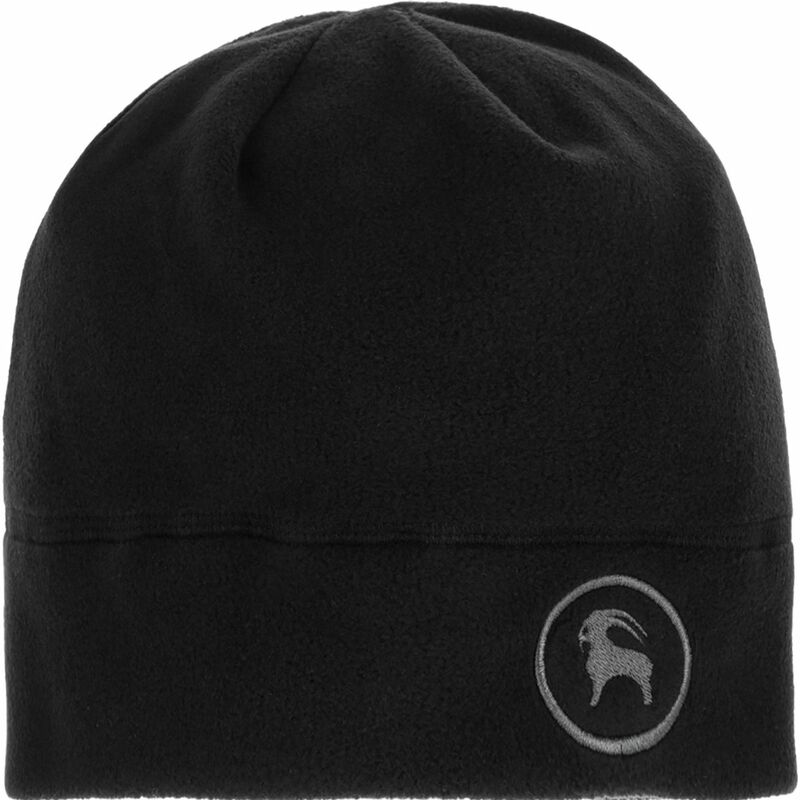 There are even handles at the top of the pack for clipping to anchors. 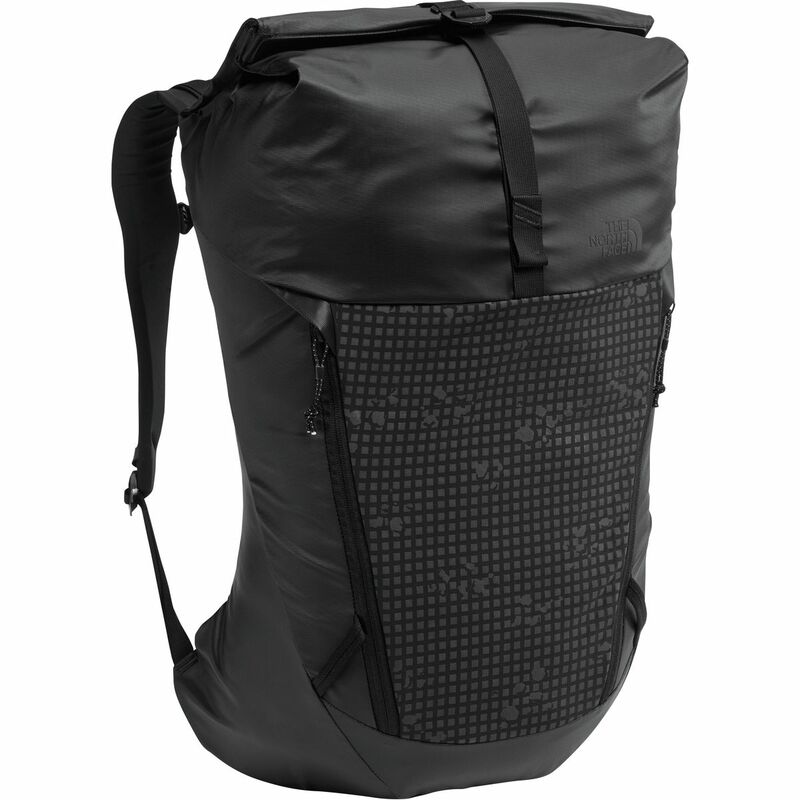 Black Diamond made the Stone Garden Crag Backpack out of its very own Creek fabric, well-known for its outstanding durability, and like Black Diamond's Creek packs this one stands on its own for easy packing. Finally--and though it's sold separately--the matching Stone Garden Rope Bag was designed to serve as a rain cover for the the Crag Backpack. 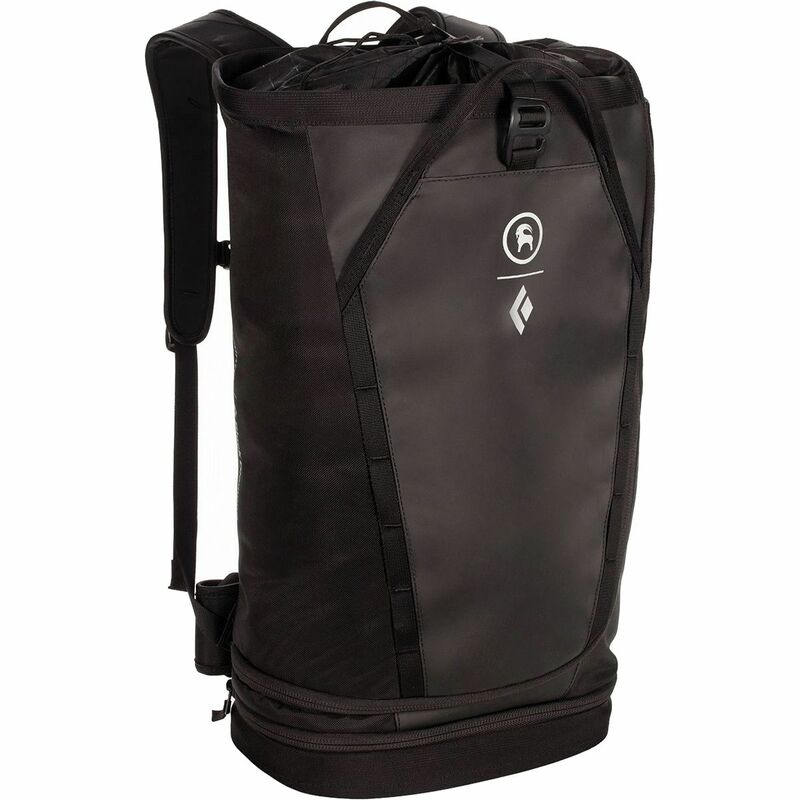 It's never ideal to get caught out in the rain, but if you are, the Rope Bag protects the Crag Backpack and all of its contents while you scramble for the shelter of a rock overhang or pedal through a surprise spring shower to the gym. 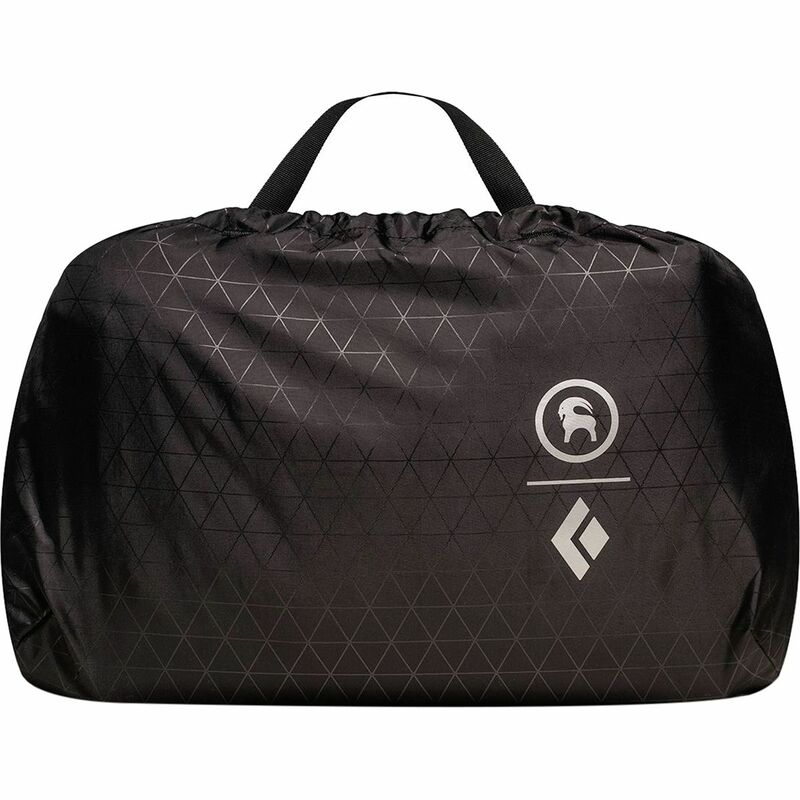 Stone Garden's ground is as dirty as its limestone rock is fun to climb, and the Backcountry x Black Diamond Stone Garden Rope Bag keeps your rope clean from the warmups to the left of the crag all the way to one of the most popular 5. 12s in the state of Utah. 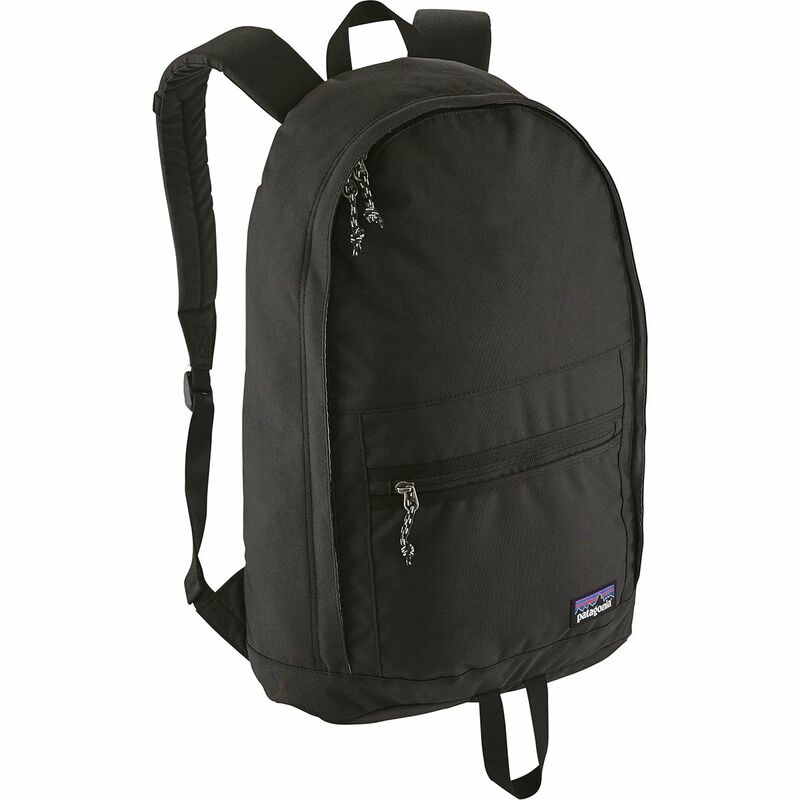 In the event a day on the wall is interrupted by spring showers, the bag is also designed as a rain cover for the Stone Garden Crag Backpack. 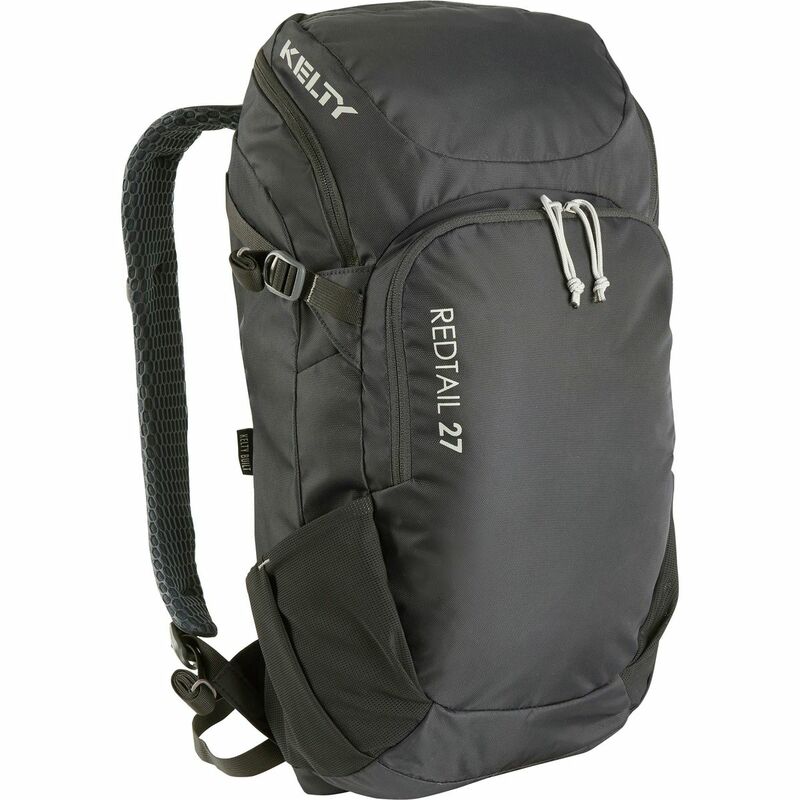 You can load all your gear--shoes, rack, food, and (of course) rope--into the backpack and protect it all with the rope bag. 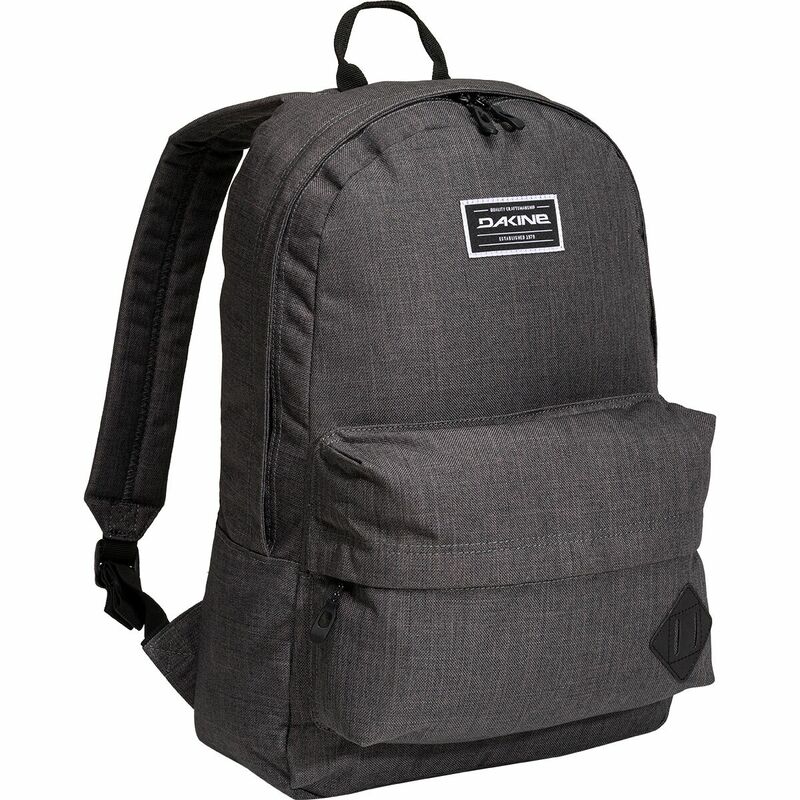 Despite that hybrid functionality, the Stone Garden Rope Bag's name gives its main purpose away. It's concerned with ropes first, so it includes a massive, built-in tarp that separates your clean rope from all the eroded material that dirties the belay spot, and it rolls up your rope like a burrito for easy packing when you're done. It's also equiped with color-coded tie-in points that prevent your rope from knotting up when it's packed away, and the elastic closure complements the webbing grab handles with a packable design you can stow in your backpack for the approach back to Mirror Lake Highway--or wherever you happen to find yourself wearied and chalk-dusted after a day at the crag. If it isn't broken, don't fix it. 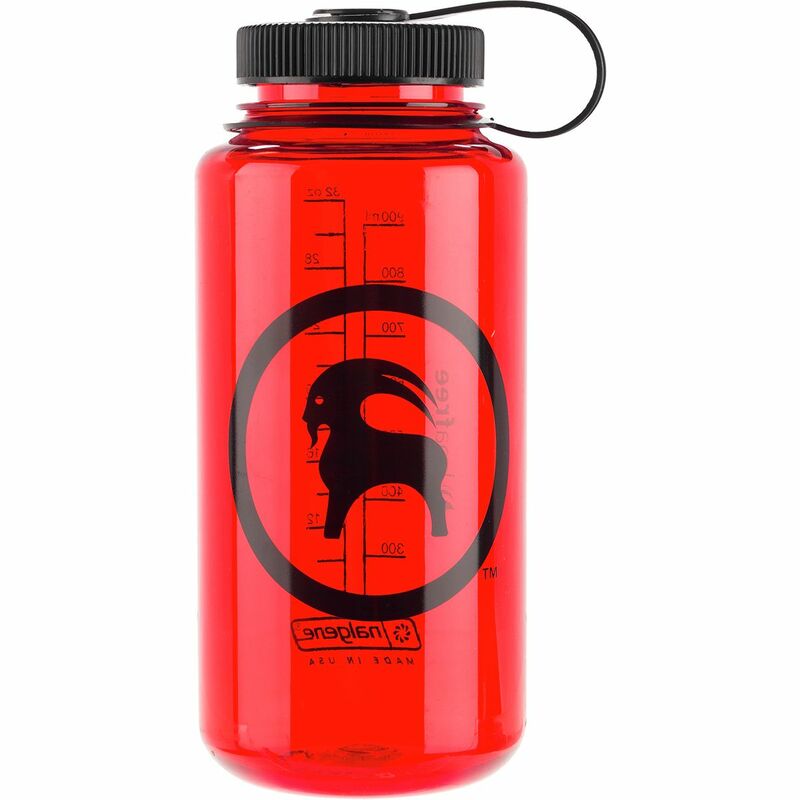 That's the approach Nalgene and Backcountry take with the x Nalgene Goat Logo Wide Mouth Tritan Bottle. 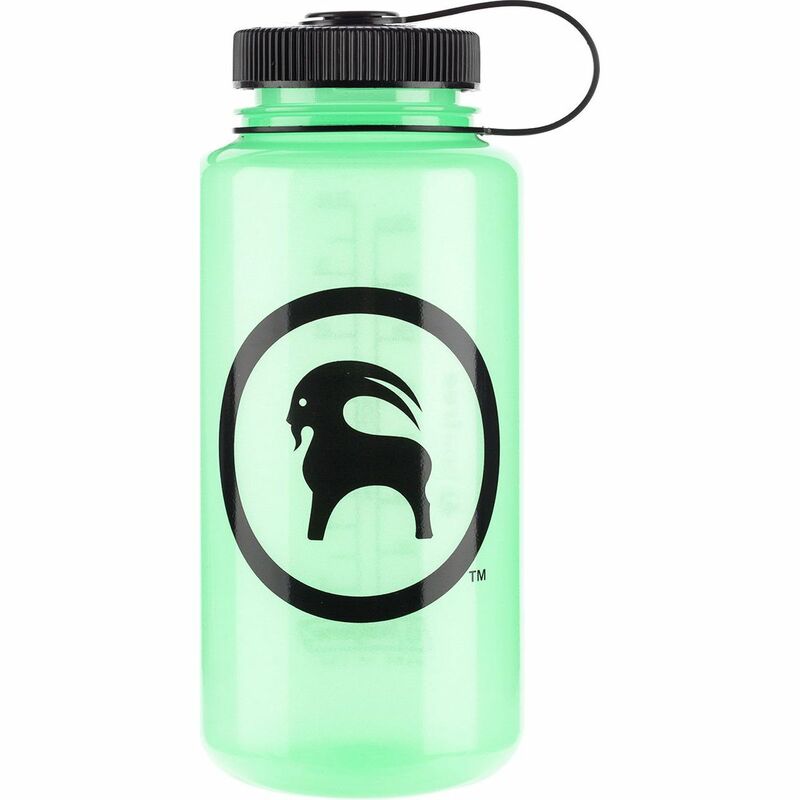 This impact-resistant bottle features a screw-on cap that won't leak, won't run away, and won't let you down if you get a little thirsty on your trails. 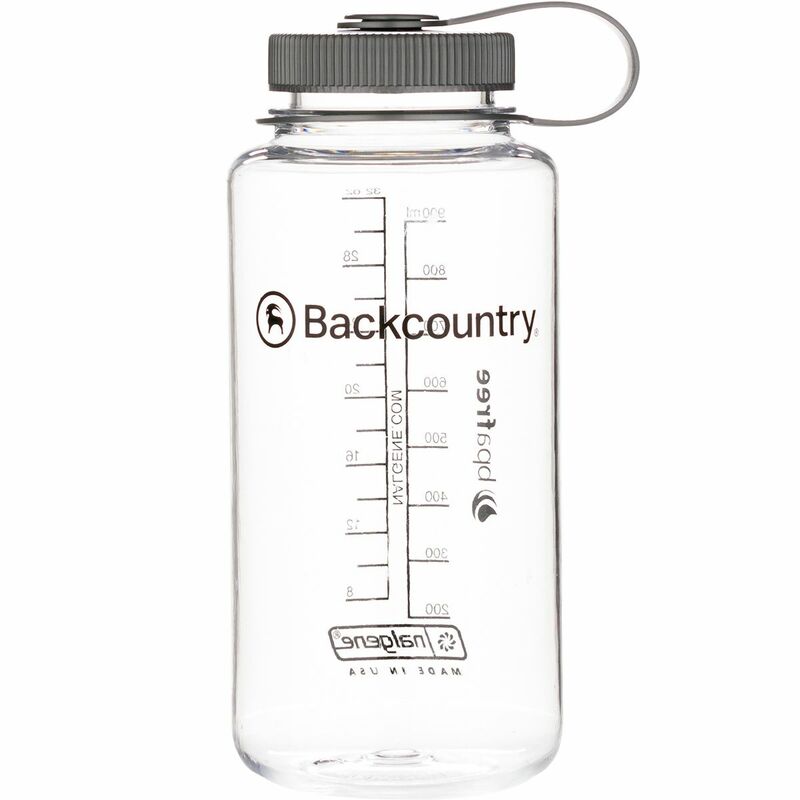 Should you want your water chilled, it's a simple matter to pour ice into the wide mouth, and measurements along the side come in handy when you're cooking at camp or filtering water in the backcountry.